At The Best UK Prices. 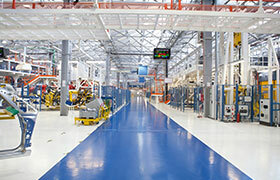 We produce a range of industrial floor paints under our own "Regal Paints" brand. Popular ranges include Epoxy, Masonry, Top Coats & Quick Dry Undercoats. Some of the more popular requests include skip paint, concrete paint and paint for garage floors but applications are not limited to concrete or metal surfaces. We manufacture our own products. This means we are able to offer the most competitive prices and design products to meet individual specific needs such as quick drying, hard film, extra gloss. Our raw materials for manufacture are sourced from the world's leading raw material suppliers to ensure a quality end product and finishing. We have excellent long standing relationships with our epoxy, alkyd, acrylic and urethane resin suppliers, which means we can offer new coatings technology as it arrives. Call us and a knowledgeable member of our staff will be happy to help. 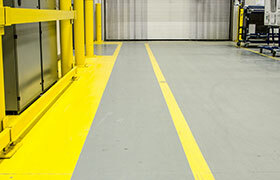 What ever project you have in mind from protecting a surface to coating a concrete floor they can advise you. Specialist Paints for Industry, Agriculture and Trade. 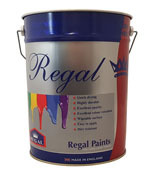 Regal are second to none providing tough, protective, aesthetic, affordable coating. We offer a wide range to meet differing needs and budgets. Our products are fully industrial and made using the toughest of materials. Our floor paint is priced in litres not kilo's - we don't overcharge by packing our products with heavy fillers (e.g. sand). Primers are the foundation of any protective coating system. Our primers are excellent at providing a key to all substrate. 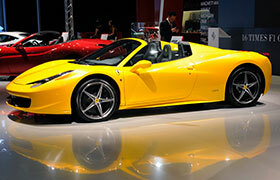 We use high quality phosphates and pigments to give protection against corrosion. Resins are blended to achieve build, fast drying and cross linking with top coats for overcoatablity. Our topcoats are formulated to provide maximum levels of protection on a range of substrates. The resins we use in our topcoats are manufactured by world respected market leaders. Whether it be an Agricultural Oxide gloss or a High Build Quick Dry enamel we ensure the highest levels of aesthetic finish. Using the correct tools for the job is essential to ensure a smooth and successful application. 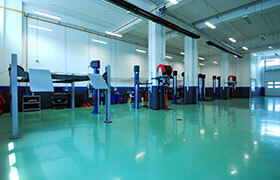 Our products are fully industrial which will means that rollers and brushes can't be reused. Therefore disposable brushes, mixer paddles & roller heads are essential. The product was a bespoke mix designed for good coverage using high solids yet with a fast cure time. For those of you that know much about floor paints these two rarely go hand in hand. The product did exactly what we wanted and exactly as John described on the phone. A very well done to the team at Regal paints and happy (even impressed!) clients all round. 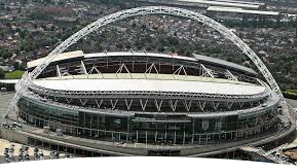 Not to mention that Wembley Arena now looks a lot..
"We went for these products as we wanted to achieve a high end finish to frame our luxury cars." The project went without a hitch and was easy to apply. "We've been left with a gallery type environment in the showroom which helps the cars standout and maximise their looks." Good quality floor paint, easy to apply and dries quickly especially in warm weather. When dry gives a resilient finish with good gloss. This one coat paint is just that, looks fantastic and easy to apply. Its on my guesthouse front door which takes a few knocks from cases ect. Delivery details - Next day options available!